We called this Seed Hill last year, but everyone else appears to call it Hall Hill. There was some debate about changing the name. The Prof, ever the old stick in the mud, wanted to keep the original title. But here at Bowland Badass Headquarters we like to keep up with the times, so we told him of a new workout where one sits backwards on the turbo, maintains a steady 23 mph, and pushes the pedals with alternate legs to produce better fast twitch responses from the gastronecmius calf muscles. Whilst he was otherwise occupied we voted it through. The net result is that this hill has a new name and the Prof has been limping around like Limpy McLimpet of Limptown and moaning about “infernal instruments”. What a drama queen! Oh yes, the hill….you’ll be using your gastronecmius muscles on this one as you’ll need to leap out the saddle just to get up it. Stravasaddoinfopoint: We measured the start of Hall Hill from right down by the river up through Whitewell and then onto the steep. The Strava segments mainly go from where it pitches skywards. Therefore, they’re all shorter and the gradient is much steeper. When you round the corner this hill just goes straight up. The fast boys have all posted times of less than 5 minutes on this one (http://app.strava.com/segments/2574510). How they manage to do that we don’t know. The fastest Badass of 2012 dipped under 6 minutes. This was either extremely brave or a pacing miscalculation bearing in mind the 120 miles left to go. Step forward Richard Jervis to receive a Badass Kudos! 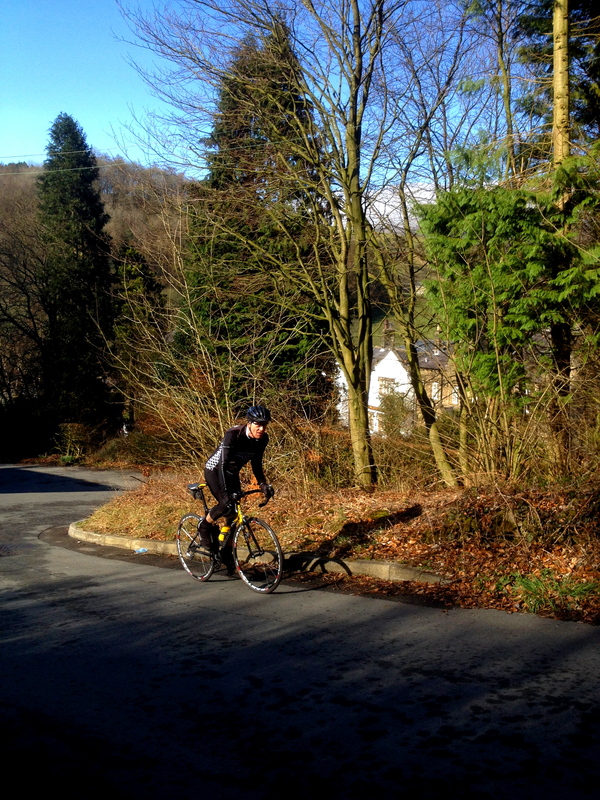 Posted on February 12, 2013, in Bowland Badass Climbs and tagged Bowland Badass, Bowland hills, Hall Hill, Strava. Bookmark the permalink. Leave a comment.